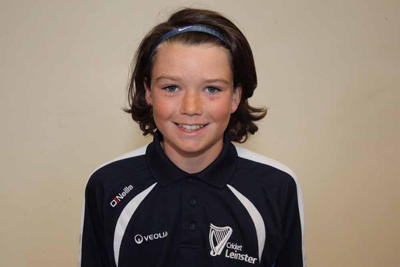 Promising Phoenix CC bowler Reuben Wilson has joined Ireland seamers Josh Little and David Delany in winning the prestigious Cricket Leinster Youth ‘Find a Fast Bowler’ competition. 2018 marks the 13th year of the competition, which seeks to identify young talented fast bowlers within Leinster and to support their development towards representing their clubs, Leinster in underage inter-provincial fixtures and Ireland in international cricket. Leinster CDM Brian O’Rourke was delighted to call on the 2010 winner Rory Anders to announce the winner for the example that Rory sets to all winners. Rory has not only gone onto represent Ireland U19s, play inter-provincials, but has stayed humble to his roots, by giving back as an under-aged coach to support the next generation of talent coming through the Leinster Youth programmes. Brian O’Rourke was pleased to see Reuben becoming the 13th member of the ‘Find a Fast Bowler’ award club and to acknowledge the work of Phoenix CC for their development of young cricketers in Leinster. “Reuben is a fine winner of the award, and I hope he takes the award to heart, looks at the previous winners and accepts the work it requires of him to be a leader in the system. However, such awards must also acknowledge the sacrifices of his parents to help him attend various Leinster Youth programmes and the excellent work at Phoenix CC once again in encouraging not only high numbers of young cricketers but talents like Reuben who showcase their club so positively”.